German North Rhine Westphalia state premier Armin Laschet said that Islam does belong to Germany in what considered a response to German Interior Minister Horst Seehofer during a mosque opening in German city of Aachen. “No locals rejected this mosque, no politicians objected, there were no demonstrations against building this mosque and that shows Islam is part of this country, Islam does belong to Germany,” said Armin Laschet who is dubbed Turkish Armin by some German media for his somewhat close relations with Turkish community. The German premier especially emphasized the word “does” during his statement which was a clear message to Interior Minister of Germany, Horst Seehofer, for his recent remarks that Islam does not belong to Germany. German premier took off his shoes respecting Islamic rules to see the inside of the mosque. Being impressed with the architecture and Islamic writings on the walls, Laschet also reiterated that worship places should not be pulled into politics. “They are above politics not just mosques but churches and synagogs as well. No one should dare to use them for their political agenda,” said the German premier. 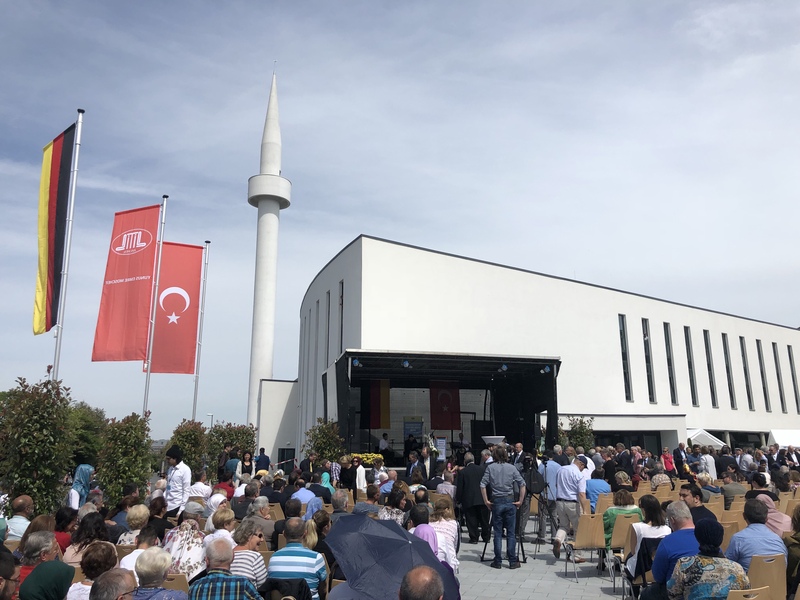 Hundreds of people showed up for the opening of Yunus Emre mosque including a lot of local Germans. One elderly German man who was around 75 years old attended the ceremony with his suit out of respect said this mosque was supposed to be opened years ago but it was better late than never. German public channel ARD was also covering the event. After the premier Laschet arrived at the opening ceremony, the female reporter of ARD asked Laschet about DITIB’s ties with Turkish government. Kindly Responding the question, Laschet leaned on her ear and blasted her for such inappropriate question. Turkish government provides imams for DITIB mosques and some imams were falsely prosecuted for spying by Germany but the charges were later dropped for lack of any evidence. Over 50 mosques in Germany have been attacked by terrorist PKK/PYD supporters in Germany since Turkey launched a military operation in Syrian city of Afrin on January 20th. While the German media barely covered the attacks, German authorities also failed to protect the mosques and capture the culprits. Many members of Turkish community said they do not feel safe and that German police would not protect them in case of being attacked by PKK supporters.